In agreement that the Modi government wants to control salaries and tenures of information commissioners through these changes, at least six parties declared their intent to oppose the amendments when they are moved. A protest against proposed changes to the Right to Information (RTI) Act. Credit: Facebook/ Somnath S.N. New Delhi: Leaders of a large number of opposition parties today came together to denounce the proposed amendments to the RTI Act that have been moved by the Narendra Modi government and to demand the immediate operationalisation of anti-corruption laws. Speaking at a people’s convention or ‘jan manch’ organised by the National Campaign for People’s Right to Information, senior leaders of the Congress, Communist Party of India (Marxist), CPI, Rashtriya Janata Dal and Trinamool Congress declared that they would oppose any amendments to the RTI Act, 2005. At the Jan Manch, a resolution was also passed to demand that the RTI Act not be diluted through amendments which seek to place in the hands of the Centre the powers of determining the tenure and salaries of all the information commissioners, including the chiefs, in both the Central Information Commission and the State Information Commissions. The resolution had also demanded immediate operationalisation of the Whistleblowers Protection Act and the Lokpal law, introduction of the Grievance Redressal Bill and opposed the lack of transparency in electoral funding due to introduction of electoral bonds. Speaking at the meet, Rajeev Gowda of the Congress said his party would oppose any amendment to the RTI Act. He also accused the BJP government at the Centre of destroying every institution and legislation of transparency and accountability. Gowda said the Congress would also support the demand for implementation and passage of the other anti-corruption laws. General secretary of CPI(M) Sitaram Yechury said the RTI Act came about after a long and hard struggle of the people. He said his party would support the demand to not dilute the RTI Act and assured that it would work both within and outside parliament to ensure that the RTI Act was not amended. Another Communist leader, D. Raja of the CPI said his party was very clear in its position and would not allow any dilution of the RTI Act. His colleague and party national secretary Atul Kumar Anjaan said the BJP government wanted to weaken the RTI Act as it is a tool in the hands of the ordinary citizens for fighting corruption. “Who are the people who are opposed to this RTI Act? They are those who are involved in the loot of public money,” he said. 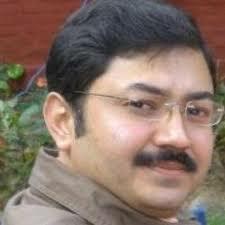 Manoj Kumar Jha of the RJD said the government was trying to destroy the RTI Act as they have no answers to people’s questions. Trinamool leader Dinesh Trivedi too said his party would oppose the amendments to the RTI Act. 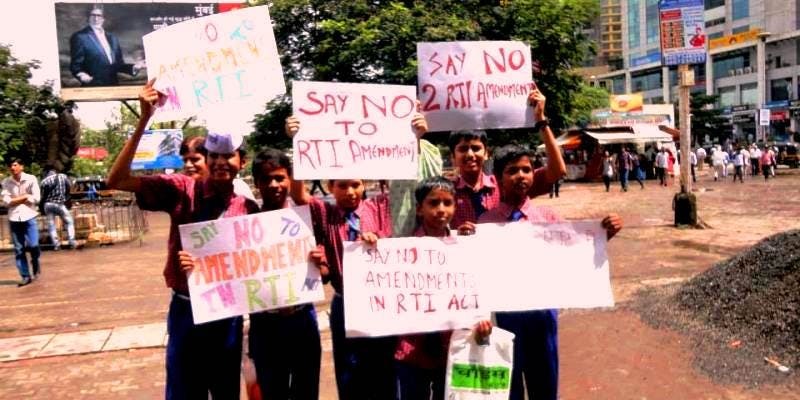 Later, Aam Aadmi Party leader and Rajya Sabha MP Sanjay Singh said that his party would block all attempts to get the amendments to the RTI Act introduced in parliament. He said it was clear that by controlling the purse-strings of the information commissioner, the Modi government wanted to curb their independence and freedom of deliver orders fearlessly. The leaders of all these opposition parties were in unison that the failure of the Modi government in enacting or implementing the anti-corruption laws showed its real intent and face. Senior advocate Prashant Bhushan, who was part of the Lokpal movement, said the government was also trying to undermine the independence of the judiciary and that it was crucial that people campaign against all these attempts to dilute these important institutions. Anjali Bhardwaj and Nikhil Dey of NCPRI declared that a follow up to today’s protests, which were also held in Gujarat and Rajasthan, similar demonstrations would be held all over the country to oppose the amendments to the RTI Act. The gathering was also attended and addressed among others by former chief information commissioner Wajahat Habibullah, Harsh Mander of Centre for Equity Studies and former major general Anil Verma of Association for Democratic Rights.